French President Francois Hollande vowed a “merciless” response toward the Islamic State, also known as ISIS and ISIL, and said French security forces have been mobilized at the “highest possible level.” The question remaining is whether Friday’s attacks will galvanize a similar response among the 28 NATO alliance members. On Saturday, military planning discussions were underway at NATO headquarters in Brussels, with flags outside lowered to half-staff as they were for the Charlie Hebdo attacks in January, the Wall Street Journal reported. 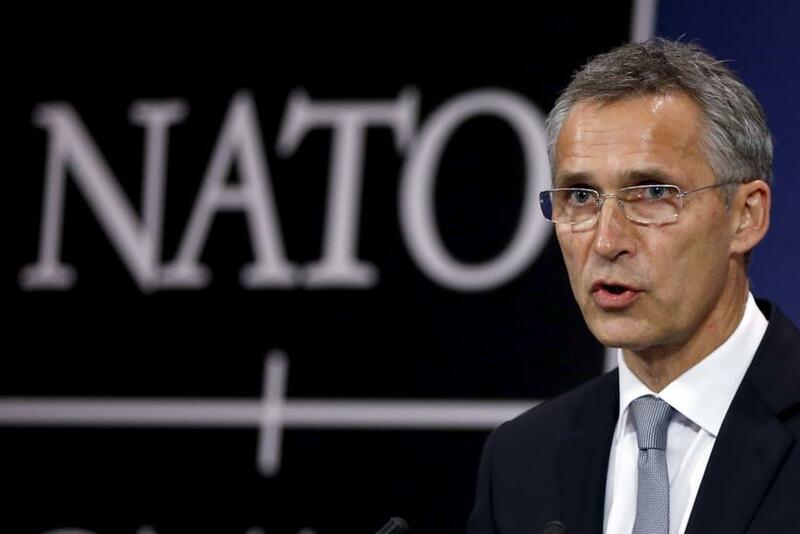 NATO Secretary-General Jens Stoltenberg said Friday the alliance would stand with France and remain “strong and united” against terrorism. Although France hasn’t announced whether it will invoke Article 5, Stoltenberg told the Journal NATO’s members stand ready to assist. “The important thing is we support French authorities in their determination to deal with the terrorist threat,” he said. The defense clause of NATO’s founding treaty stipulates that if invoked, each of the members will assist the party attacked. NATO’s military resources include more than 3 million troops under arms, 25,000 aircraft and 800 oceangoing warships, according to Foreign Policy. Economically, the alliance is also an intimidating force, representing more than 50 percent of global GDP. The only time Article 5 has been invoked was after the Sept. 11, 2001, terror attacks on the New York and Washington, which prompted NATO’s participation in the Afghanistan military mission. Should France become the second country to do so, ambassadors of the 28 nations would need to convene for consultation to determine a plan of action. The last country to request such a consultation was Turkey after attacks by ISIS in 2014. There has been widespread reluctance among the U.S. and its allies to send ground troops into Syria or Iraq, and it is too early to tell whether the Paris attacks will trigger a different response. But analysts say the events that have unfolded in the past three days -- both in Paris and Beirut, where suicide bombers reportedly affiliated with ISIS killed 43 and injured more than 200 Thursday -- have shown that more than airstrikes are needed to annihilate the international threat posed by ISIS. “I believe it is now time for a united front in Europe and along with our NATO allies to see whether we can coordinate better and act more vigorously against the jihadi terrorist threat in all its components,” French security expert Bruno Tertrais told German broadcaster Deutsche Welle.